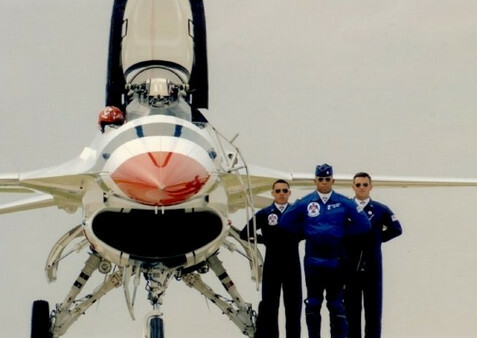 In 1987 I raised my right hand and swore to “Support and Defend the Constitution of the United States against all enemies foreign and domestic.” On that day, I became dedicated to our principles of Freedom, Justice and Equality, and joined the greatest Fighting Force ever known to mankind, the United States Air Force. I met the “good ole’ boy network” which is still alive and well in our Air Force. To think that we live in a post-racial USAF/America is imprudent. Though a few have overcome the challenges and barriers, women and minorities remain well underrepresented in the senior ranks and in leadership positions, and junior minority officers are often underrepresented in highly competitive areas like below-the-zone promotions, school selection and choice assignments. I too dreamt of one day becoming a senior leader in our Air Force; possibly the Chief of Staff or perhaps even the Chairman of the Joint Chiefs of Staff. Though being rated one of the best in the Air Force and having all the squares filled, that dream was denied at the hands of several failed Air Force leaders who chose nepotism, lineage and race over performance, excellence and simply what was right. Are the notions of meritocracy and equality simply improbable? Does the USAF really believe in and follow the Core Values? Dover AFB, F-22 mishaps/system failures, Air Force Academy Scandals, Air Force Tanker Contract, Basic Training Recruit Abuse … ! You be the judge! My story represents the tragedy of an unsustainable talent management approach being used by the USAF, which fails to properly account for the current and future requirements of our service. On this current course, diversity will simply be a once heard of myth that failed to ever come to fruition. The impact of this failure will be long lasting and will indeed be a threat to our future national security. Be the first to comment on "Good ‘Ole Boy Flyers, Air Force Corruption Exposed"